We are comforted because we are heartbroken. We are comforted because we need a blessing. We are comforted because God loves us. 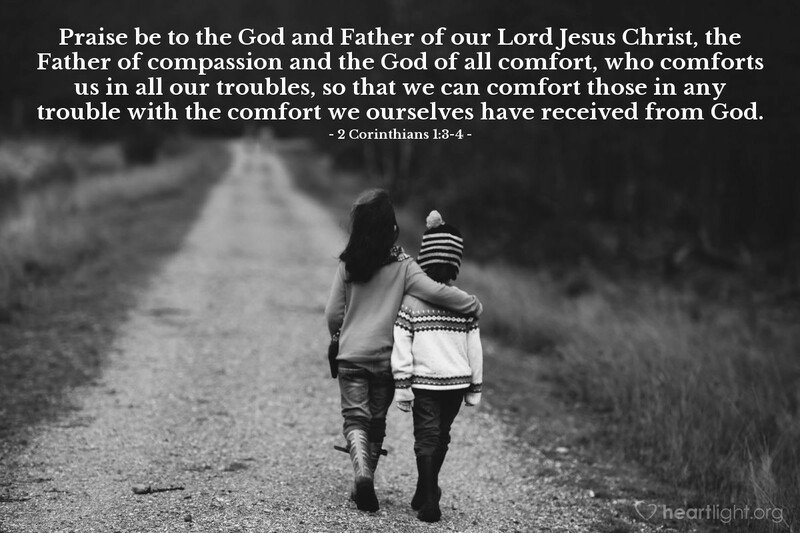 We are comforted to comfort others. While each of the above statements is true, the last is the most crucial one. There is something about comfort that cannot be fully realized until it is shared with someone else. It is that final step in the healing process of grief, disappointment, hurt, and loss. Until we share the comfort we have received, until we pass it on to another, our comfort is weak and shallow and limited. Comfort — pass it on! O LORD, God of heaven and earth, Creator of the universe, thank you for knowing my heart, caring about my concerns, and comforting me when I am wounded. Help me to share your grace, mercy, and comfort with someone else today. In Jesus' name I pray. Amen.